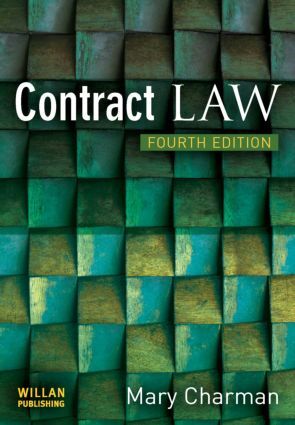 This textbook covers the Contract Law option of the new A-level law syllabus, and provides at the same time an ideal introduction for anybody coming to the subject for the first time. The book covers all A-level syllabuses/specification requirements, and is written by the principal examiner in Contract Law for one of the major examination boards. It contains extensive case illustration, and a range of examination related questions and activities. There is a special focus on key skills, and on the new synoptic assessment syllabus requirements. This fully updated fourth edition builds upon the success of the first three editions, with new case law (especially on offer and acceptance, legal intent, terms, exemption clauses and misrepresentation remedies) and coverage of new statute law (especially Unfair Terms in Consumer Contracts Regulations).